The couple lost one of their eaglets last year. 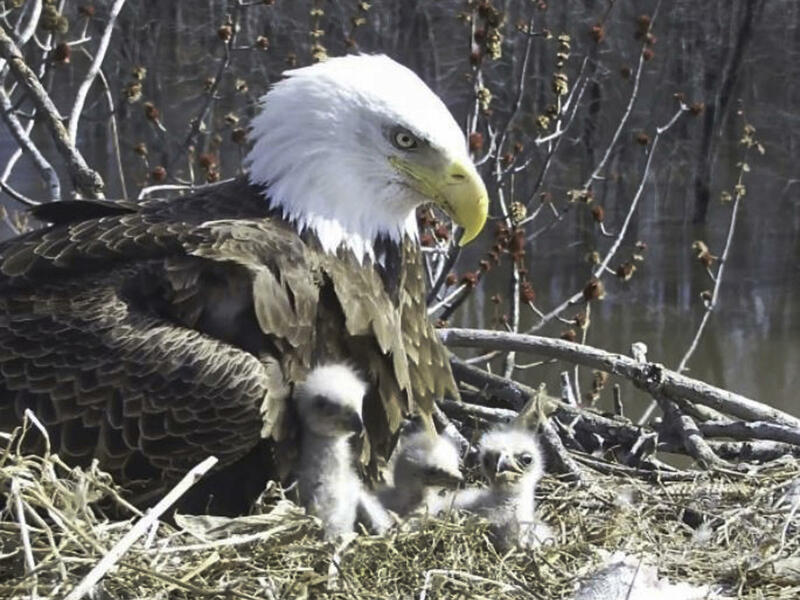 The eaglet, Valor, was born in the spring and grew into a sleek, young bird, under the watchful eye of his parents and the many eyes of online eagle-watchers. But in mid-summer he fell from the nesting tree. When he was taken to a bird rescue and research facility, he was found to be severely underweight and tested positive for West Nile Virus. Researchers said it was "extremely unlikely" that he would recover, and euthanized him in August. While eaglet deaths are a blow to observers, they're a relatively common phenomenon. According to the Stewards, as many as 70-80 percent of bald eagles in the wild die before they reach adulthood at five years of age.